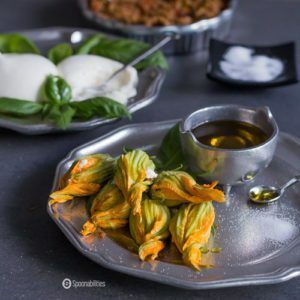 Fresh Stuffed Squash Blossoms are filled with creamy burrata and black olive tapenade. The tapenade has a blend of Mediterranean flavors like black olives, red peppers, tomatoes, capers and balsamic vinegar. The squash blossoms in their raw state look beautiful on your table with the vibrant orange-yellow color of these edible flowers. 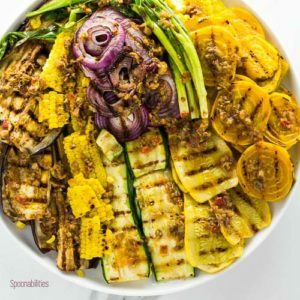 This recipe is so easy, how could it not be one of our ‘easy 1-2-3 recipes’? Join us for a Wine and Cheese Tasting Party with jam & tapenade pairings. Be our guest as we guide you through each cheese & wine combination presented on chic & rustic wooden boards, along each station of our tasting table display. 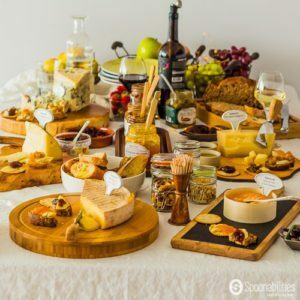 You will experience a mix of Italian, French and Spanish cheeses & wines, along with carefully selected jams, fruit spreads and tapenades that will delight your pallet.